Five weeks after the Arab protests spread to Libya, the United States has found itself tangled in yet another Middle Eastern conflict. The question on everyone’s mind is, will this be a Gulf War or Iraq 2.0? In other words, where will we be after the bombs stop falling? I think it’s safe to say Obama’s situation now is quite different from George Bush’s back in 2003. On a military level, Obama has been keeping his distance by not involving ground forces, choosing to instead use missiles and airstrikes. Obama’s military plan at this point seems to be to hammer Qaddafi’s forces as hard as possible without touching down on Libyan soil. 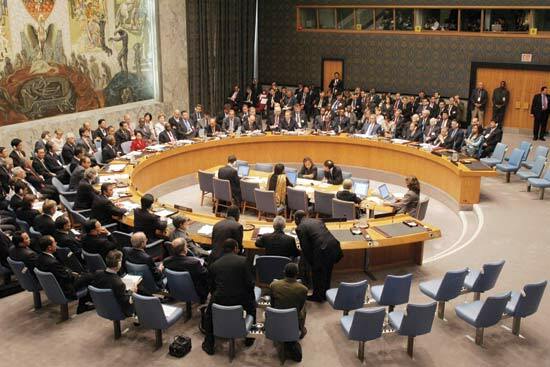 The UN’s decision to hold back the tide of Qaddafi’s advances on the rebels was intended to do two things. First, it was meant to stop further humanitarian crisis in the form of military massacres by Qaddafi’s forces. Second, the declaration was a way of legitimizing the rebellion’s government and the movement that put it in place. Now, although I’m a fan of the man, President Obama has made some hefty mistakes in handling the crisis in Libya. His first foible, which has compounded into the criticism he now faces, was his hesitancy in taking the Libyan humanitarian crisis as seriously as he should have. Now, I realize that I don’t stand a chance of pretending to understand all of the complex minutia and details that factor into a decision like the one he made, and how difficult it must have been, considering all the pressures on the administration about this issue. But it seems to me that the president should’ve given more initial credence to the idea of military intervention in Libya. If the idea had been on the American table earlier, there would have been more time to have serious internal discussions about it (which would hopefully resolve Congress’s beef) before launching in after a chat with Nicolas Sarkozy. Following from this mistake was the lack of clarity on the future of the situation in Libya. While I don’t think that this is likely to become another Iraq War, US military involvement always brings up questions. The most prominent one, as I suggested in the title of this post, is what’s next? Many, including prominent members of Congress and thinkers on both sides of the aisle, have pointed out that Obama doesn’t seem to have much of an endgame in Libya. Bombs will fall for a few more days (hopefully that’s all), and Qaddafi’s forces have been and will continue to be whittled down. But what happens after that? Now that the international community has intervened (which, even after all my hemming and hawing, I think was a good thing), how involved should it be? US administration officials have made it pretty clear that they expect the burden of this coalition to fall of the shoulders of everyone, if not mainly Britain and France. And hopefully, other nations, particularly the Arab League, will prevent this attack on Qaddafi from taking on the aspect of another assault on a Muslim country. But there’s a bigger problem than America’s Arab street cred. The coalition’s goal in striking against Qaddafi has been to protect the civilians and rebels of Libya from the senseless violence Qaddafi would love to inflict on them. But how far can a no-fly zone and bombs take the rebellion? There’s a whole host of possible situations that could rise after the dust settles in Libya. The country might fracture into two under the pressures of enemy governments in east and west. If not removed, a vengeful Qaddafi might revert to his past terrorism, lashing out against Europe, America, and his own people. The opposition is still nascent (at best), and it remains a relatively untested force. There are many things still up in the air where Libya is concerned, and I’ll continue to write about the situation as it develops. But for now, we can only hope that things come to the swift conclusion that the coalition is hoping for. And so, in the spirit of this post, I’ll end with the biggest question of all: What’s next for Libya? 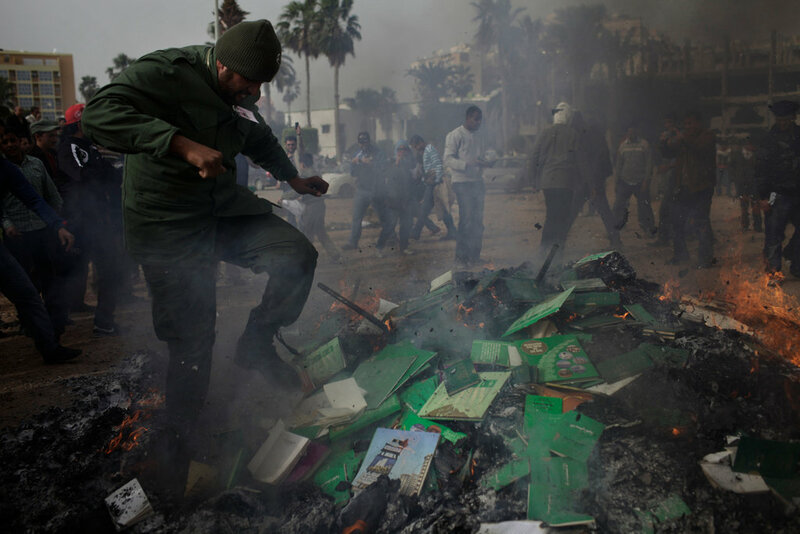 A rebel burns Green Books, a relic of Qaddafi's past military revolution. The situation in Libya, which didn’t have a particularly pleasant start, seems to be continually deteriorating. Both sides, neither particularly well-organized or seeming to possess much of a plan, are arming themselves and drawing up plans that seem destined to lock them in an ever more-violent civil war. This violence is even more striking when one considers the direction that the other prominent uprisings have taken as compared to this one. While protestors in Egypt and Tunisia managed to topple their governments with relatively little violence, and now are taking leaps and bounds toward progress, the revolts in Libya have quickly turned into a revolution, and again morphed into an outright violent rebellion. Yet even while Qaddafi tries to solidify his power and give the world the impression that the situation is under his control, the rebellion has become more and more defiant and determined. In fact, the political face and governing body (or the closest thing to a governing body) for the rebellion, the National Transitional Council, announced yesterday that it considered itself the “sole representative all over Libya.” As you can see, both sides seem determined to hold onto the power they have (and take more of it) until the bitter end. Now, correct me if I’m wrong, but the events of this rebellion seem strikingly similar to the events of the French Revolution, back at the turn of the 19th century. In both this rebellion and what I see as its French predecessor (in spirit at least), a group of revolutionaries unilaterally named themselves the sole government body that possessed any governing power, and grew increasingly resistant to an increasingly oppressive regime. There are, of course, key differences. First, the French version was very much focused in Paris, with the city being torn apart by conflict and drawn-out strife. 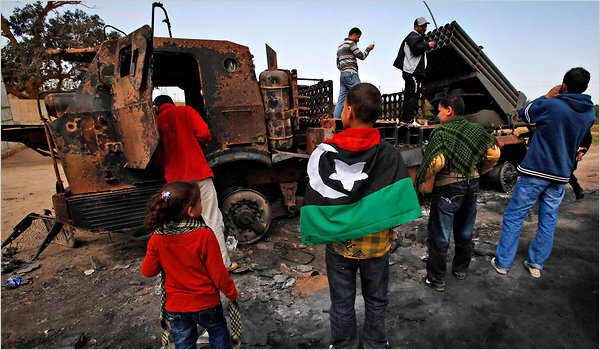 In Libya, the factions have taken power in separate areas of the country, and both are gearing up for further struggle. Second, there is much more international involvement in Libya than there ever was in France, which could help things from becoming too excessively violent as they did in France. Finally, there will be a much different impact of this revolution than the one in France. In Libya, the largest impact on the international community, at least as I see it, is likely to be on the price of the oil we’ve become so dependent on. No matter what similarities or differences there are between this revolution and the French one, I think that the rebellion in Libya is unlikely to have a resolution soon, in either direction. Both sides have become too stubborn and immovable to give any ground at this point. But with almost the entire international community on the side of the protestors, and with the UN and NATO considering further sanctions against Qaddafi, my vote is going to be cast in favor of the rebels. Even if Qaddafi manages to violently quash the growing rebellion, it would be impossible for him to reconstruct the country and the government in a way that would serve his interests. Too much of the country has turned against him, and he faces too much international pressure to keep holding on. While the rebels want no foreign military intervention, they seem to welcome the sanctions, asset freezes, and condemnations being directed at Qaddafi. So! While I can’t be sure how things will end, I’m feeling optimistic for the rebels and their cause. With the back-up of the United Nations, a rising number of military defectors to their cause, and the power of having already caused irreversible change in their country, the Libyan Peoples’ Army and the rebels of Libya will seize the day eventually. The only question is, what will Libya become once they do? 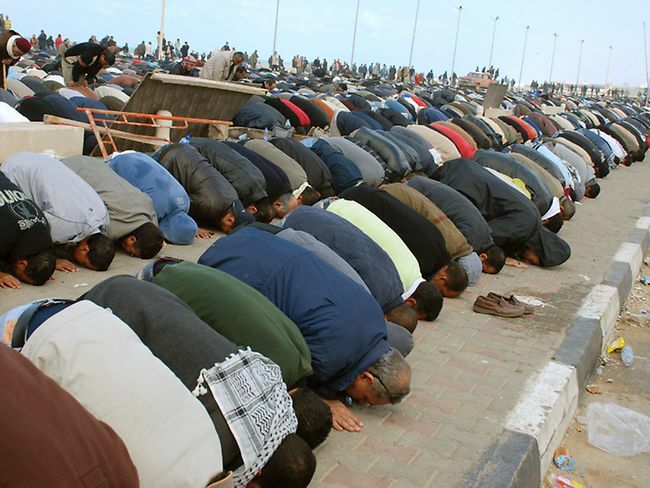 Worshippers in Libya, mourning the dead and looking to a brighter future. Unrest and protest seem to be swiftly turning to outright civil war and rebellion in Libya, the North African country that seems likely to be the third to topple in the wave of protests sweeping the Arab world and North Africa. Unlike the other countries in which major protests have occurred or are occurring, Libya’s uprising has been an extremely bloody one, with Colonel Moammar Qaddafi using brutal and heartless attacks on his own people in an effort to hold onto power. Following Friday Prayers in Tripoli, thousands of protestors poured out of mosques and stormed the streets in another concerted effort against Qaddafi. After a short while of marching, they were fired on by Qaddafi’s men and supporters, and at least several were killed or injured in the shooting. Qaddafi has begun turning the capital city of Tripoli into a stronghold of his remaining power and support, even as more eastern cities like Benghazi and Tobruk have fallen completely out of his control. This has created a tense state of affairs in Libya, to say the very least. 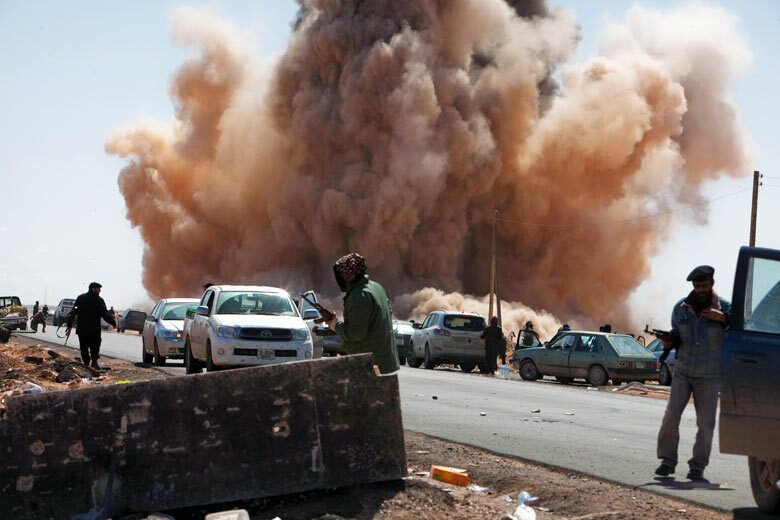 The rebellion has been building in the eastern cities of Libya, particularly Benghazi, and Qaddafi has been building up his defenses in the capital of Tripoli. This seems to me to be the beginning of the civil war that Qaddafi’s son said would come to pass if the Libyan people didn’t comply with the government, but the people seem ready and willing to fight it. The network of protests, staged all across the country but focused in the east primarily, have begun to coalesce into what seems to be a greater revolutionary movement committed to opposing Col. Qaddafi and any of his allies. 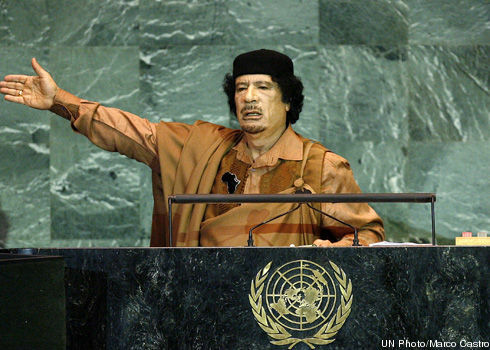 Many signs seem to be indicating that the opposition movement toward Qaddafi is more of a full-scale rebellion than an uprising, and there’s evidence that the war against his authoritarian regime is not going to be fought with words and political pressure, as was seen in Tunisia and Egypt, but with rocket launchers and automatic weapons. Early on Friday, a speech delivered by Qaddafi (see 4th paragraph) attempted to galvanize the nation’s youth to defend their nation. Going so far as to say “Every individual will be armed,” he reiterated his intention to hold onto power no matter what. Qaddafi has given no signs of flexibility or even a pretense of reform to his people since the struggles in Libya began on the 15th, and because of this, the people have taken their protest to another level. Since the city of Benghazi fell to the rebellion last Sunday, it almost seems as if two separate countries are taking shape within Libya. In fact, an opposition government is already taking form in Benghazi, as lawyers, judges, police, and defected military officers patch together a new, informal government in a city of more than 600,000. 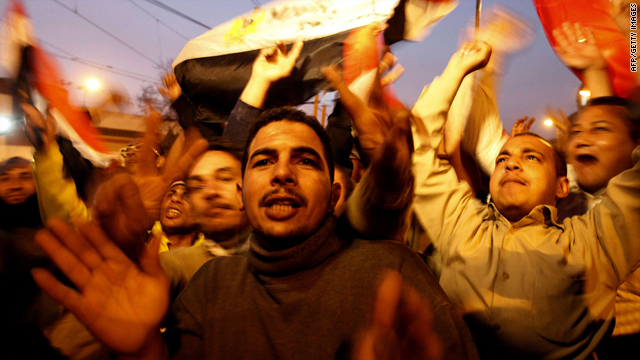 There’s still a lot of suspicion in the city, as it has become the epicenter of the rebellion against Qaddafi. To me, it looks like Libya is in great danger of splintering into two countries, at least in a de facto sense. Rebel forces have taken almost complete control of the eastern parts of the country, and Qaddafi continues to centralize his power in Tripoli and surrounding areas. A number of prominent military leaders have joined the rebellion, offering their weapons, troops, and tactics. In fact, one leader, Colonel Tarek Saad Hussein, is purportedly leading an attack on Tripoli soon with a fairly substantial strike force armed with weapons expropriated from Qaddafi. At this point, it really seems as if both sides are gearing up for a new level of conflict resolution of a kind waged with weaponry instead of words. Rebels talk of raids and attacks on Tripoli, and Qaddafi has sent veritable death squads into neighboring towns to try and clear out rebels. Time will only tell how this will resolve itself, but I’m sure that much more blood will be spilled before Libya quiets down. The ruthlessly brutal Qaddafi, despot of Libya. Determined to outdo his dictatorial Arab counterparts in violence, cruelty, and bloodshed, Col. Moammar Qaddafi (alternatively, Muammar al-Gaddafi) has declared outright war on his own people, ordering an effective open slaughter of Libyan protestors. The long-time revolutionary despot has surpassed any other attempts to suppress uprisings in this year of protest, at least in terms of raw, horrifying violence. Reports have indicated that hundreds have died in the protests, primarily in the cities of Tripoli (the capital) and Benghazi. Qaddafi has reportedly been using small air strikes, gunship attacks, hollow-point bullets, and ruthless mercenary forces against protestors in a bid to hold onto power, no matter what the cost to his own people. As grim and appalling as this genocide is, there are signs that Qaddafi’s bloody grip is slipping away. A number of Libyan officials have taken a direct stand against him, including Libya’s deputy ambassador to the UN, Ibrahim Dabbashi, who has called for Qaddafi to leave the country immediately and has accused him of genocide. He even went so far as to say that Qaddafi has only a small number of days left, whether his departure is a voluntary one or one by (possibly violent) forced removal by the Libyan people. Besides Dabbashi, two Libyan pilots landed their jets after refusing orders to fire on protestors, defecting to Malta, and rumor has it that one of Qaddafi’s top generals disobeyed orders to fire on protestors and was subsequently put under house arrest. It seems that Qaddafi’s Libya is tearing at the seams. With the opposition building in the east and a shockingly transparent declaration of war and proposal of possible civil war by Qaddafi’s son, Seif al-Islam el-Qaddafi, it now seems inevitable that Libya will either be torn from Qaddafi’s lifeless hand or torn apart by further unrestrained violence. I think it’s safe to say at this point that Libya’s protests have gone far past a point of no return. Even if he retains power, which seems nearly impossible, Qaddafi could never bring the country back to how it was before.